The Ficus Retusa, also known as Ficus Microcarpa Nitida, is one of the easiest trees to take care of. It is a native of Malaysia and other southeast Asian countries. It is a tropical and must be kept inside when the temp gets below 40 degrees. 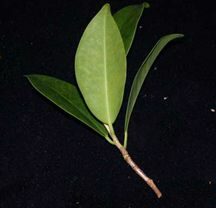 Failure to give protection from the cold will cause leaf drop and may result in branch die back and possibly the demise of the plant itself. Ficus retusa grows to about 60 feet in the wild, but it is easily trained as a bonsai. The bark is a smooth gray with a lot of aerial roots if you make sure it gets a lot of humidity. One year, I went on vacation and had some in a lattice house which received about 50% shade and I had an automatic water system on twice a day for 30 minutes each time. I came home after two weeks and had new aerial roots of about 2 inches on most of the plants; however, when I put them back in full sun the new aerial roots never made it to the pot. If you are growing them somewhere that has a lot of humidity never let the aerial roots grow out of the pot and into the ground. 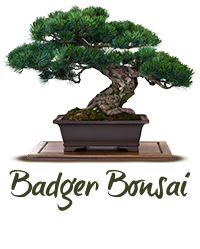 If this happens it will cause the bonsai to put out a rapid growth of branches and become a bush. Foliage is dark green and quite dense and grows upright. Retusa grow best in full sun with plenty of water. Fertilize with an organic or all purpose fertilizer every week. To prevent die back, prune only when the tree is actively growing. With terminal pruning the reuse will bud back easily. The milky white latex that is secreted when pruning branches may cause an allergic reaction to some people, so it is best to avoid contact with the skin. Ficus retusa likes to be repotted in the hottest part of summer. The tree is not particular in what type of soil it is potted as long as it is a well draining mix. The PH of the mix does not seem to be a major factor here. Ficus retusa does not seem to be seriously bothered by insects or fungal pests. It is quite possible to find an occasional scale but the milky sap of the tree seems to discourage most insects. As a precaution, you can spray the tree with an insecticide twice a year.